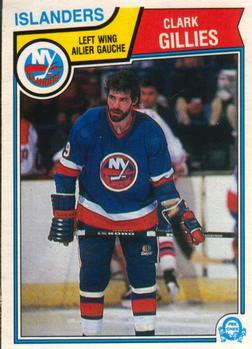 33 years ago tonight (1981): Clark Gillies scored two goals as the Isles erased an early Ranger lead and defeated the Blueshirts 5-4 before a sellout crowd at the Coliseum. The win extended the Isles record to 4-0-1 on the season. The Ranger coach at the time knew a bit about beating Dynastic teams. “When you give up three goals like we did, two on the power play and one shorthanded, you can’t expect to beat a great team like the Islanders. 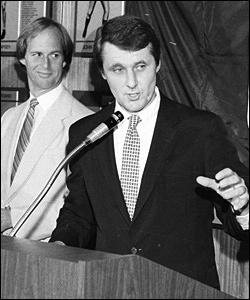 But at this stage, just staying close to them means we are starting to learn.” Herb Brooks was 20 months removed from leading the USA to the Miracle on Ice. One of his defensemen in Lake Placid, Ken Morrow, played against him in this game, on his 25th birthday. Also on this date: (2013): John Tavares broke a 2-2 tie late in the second period, and that proved to be the winning goal as the Islanders defeated Edmonton 3-2. The win extended the Isles’ point streak on home-ice to 10 games (going back to the prior season), which matches the 1989-90 squad for the longest home-ice point streak in the post-Cup era. All-time, the Isles have played eleven October 17th games at the Coliseum and finish with a 4-7-0 record on this date at 1255 Hempstead Turnpike in Uniondale.